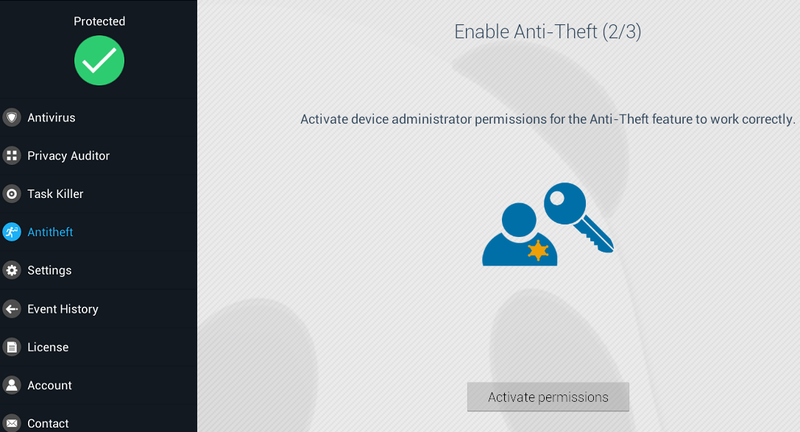 Click Activate permissions to enable administration permissions to the Anti-Theft feature. Click Activate on the next screen as well. 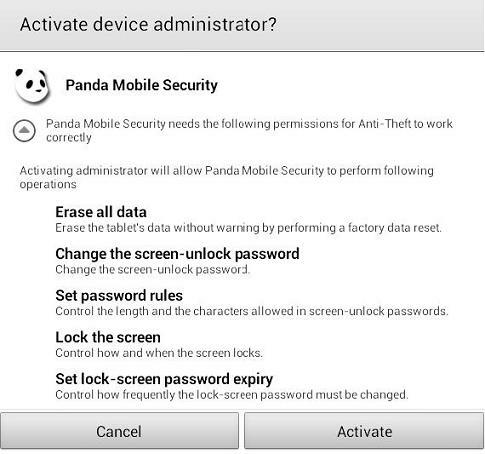 The final step after setting permissions will ask you to sign in to your Panda account to locate, lock or erase the content of the device remotely. If you have not created your Panda account yet, the device will ask you for an email address to create it. Then, just open your email and validate your Panda account. That's it! 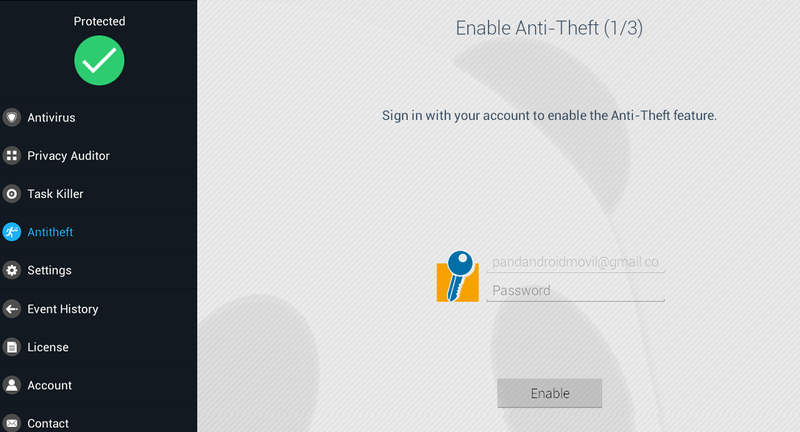 You can now make use of Anti-Theft protection of your Panda Mobile Security. 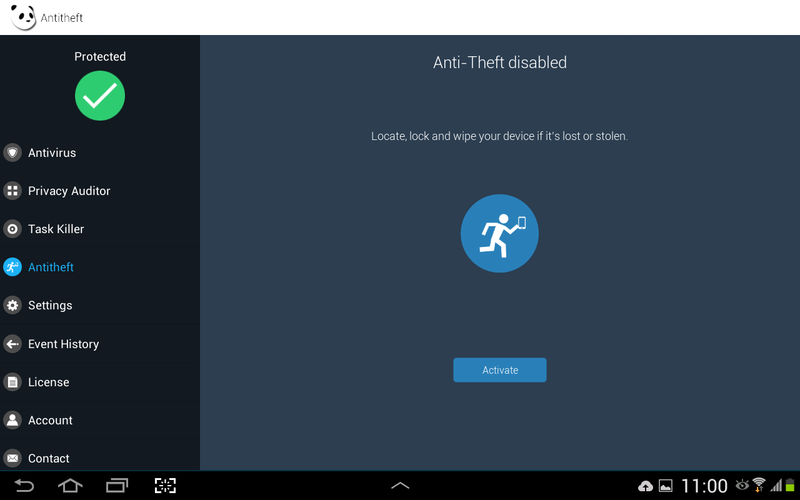 If you ever want to disable the Anti-Theft feature, just go to Settings, Anti-Theft settings and untick the checkbox.